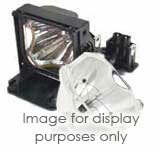 Replacement lamp house unit with lamp for Sony SXRD projectors. The LKRX-B105 is a replacement xenon lamp house unit and 1KW lamp with a maximum output of 5000 lumens. It is compatible with Sony's SRX-R105, SRX-R105CE, SRX-S105, SRX-T105 and SRX-T110 projectors.